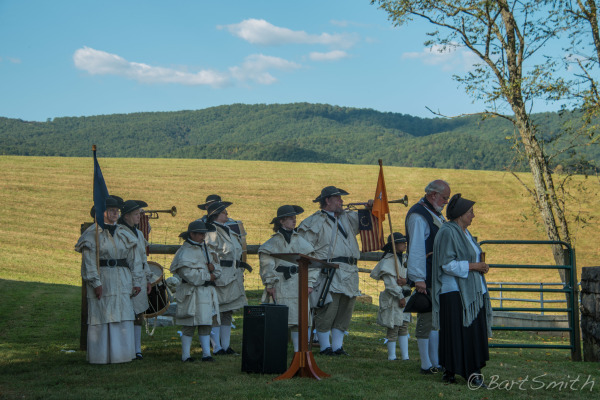 Overmountain Victory reenactors honoring the Gravesite of William Cambell at Apenval cemetery, Virginia. 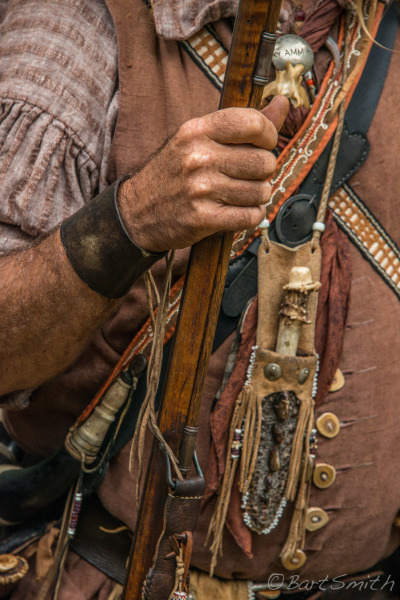 Colonel William Campbell was the general commander of the Patriot militia force at Kings Mountain, SC. Virginia. 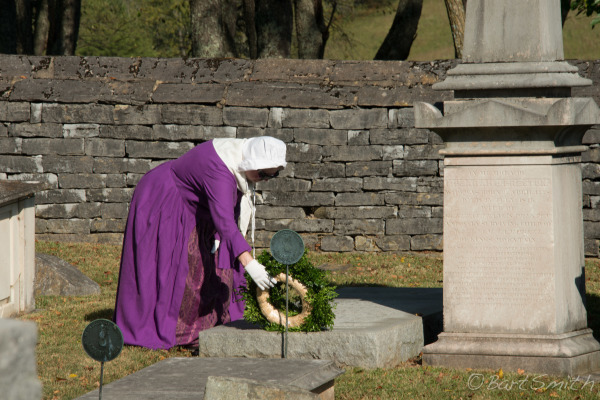 Overmountain Victory reenactor laying a wreath honoring the Gravesite of William Cambell at Apenval cemetery, Virginia. 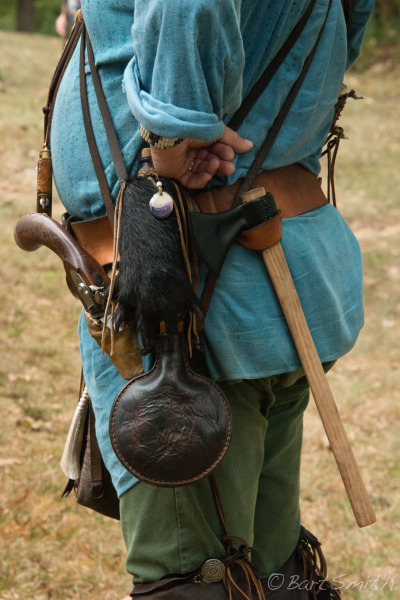 Colonel William Campbell was the general commander of the Patriot militia force at Kings Mountain, SC. Virginia. 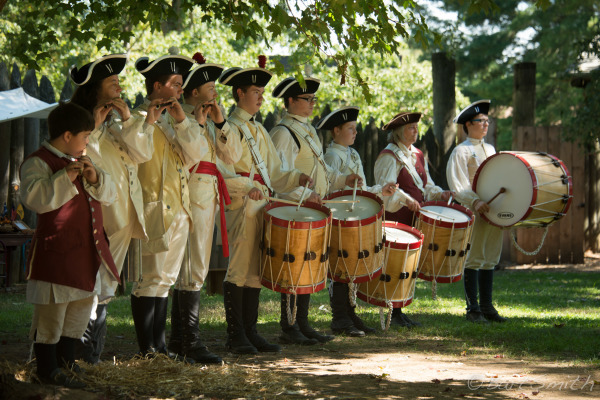 Reenactors Fife and Drum Corps, Fort Watauga, Sycamore Shoals State Park, Elizabethton, Tennessee. 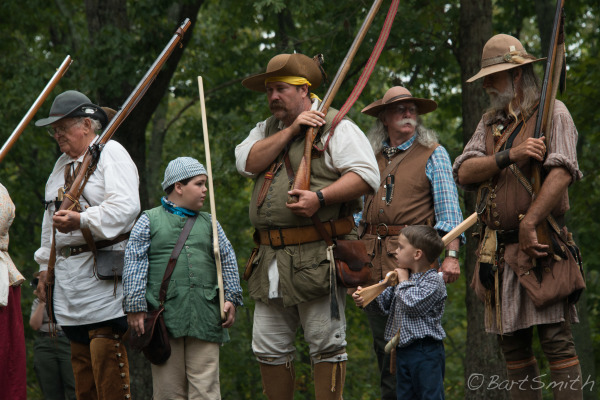 Annual Overmountain Victory March reenactors volly salute at Rocky Mount Museum Historic Site, Piny Flats, Tennessee. 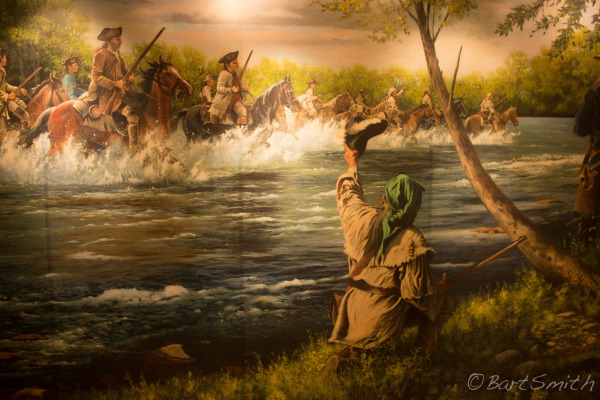 Painting by artist and re-enactor, Richard Luce, depicting Overmountain Victory militia crossing of the Watauga River. Museum at Sycamore Shoals State Historic Site, Elezabethton, Tennessee. Reenactors along the Overmountain Victory march teaching at classroom progam, Fort Watauga, Sycamore Shoals State Park, Elizabethton, Tennessee. 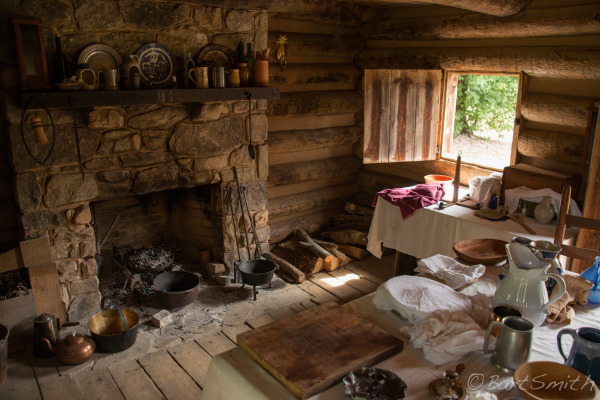 Fort Watauga, Sycamore Shoals State Park, Elizabethton, Tennessee. 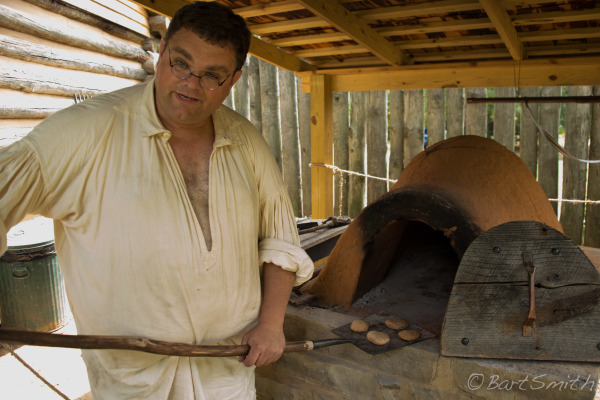 Fresh biscuits and tasty too, Fort Watauga, Sycamore Shoals State Park, Elizabethton, Tennessee. 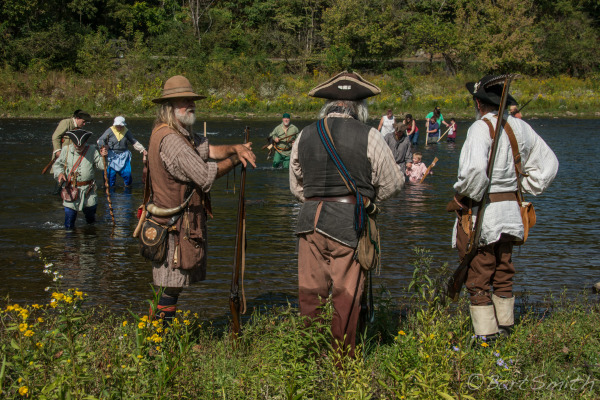 Overmountain Victory reenactors crossing the Watauga River near Fort Watauga, Sycamore Shoals State Park, Elizabethton, Tennessee. 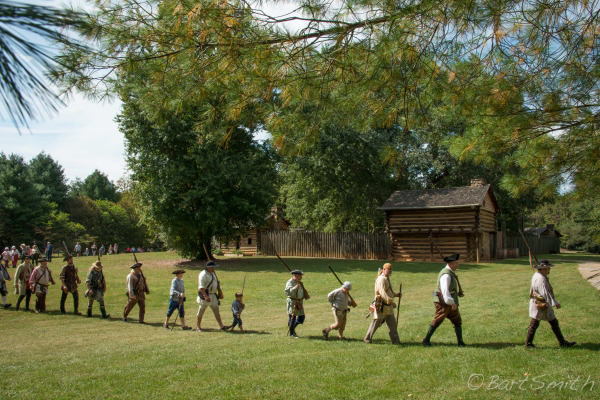 Overmountain Victory reenactors during ceremonial march at Fort Watauga, Sycamore Shoals State Park, Elizabethton, Tennessee. 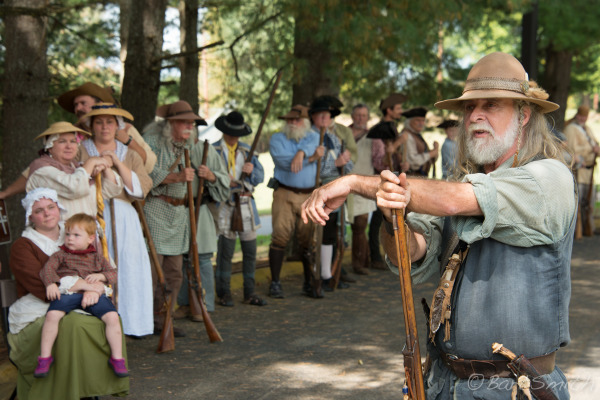 Story telling from Overmountain Victory reenactors during ceremonial march at Fort Watauga, Sycamore Shoals State Park, Elizabethton, Tennessee. 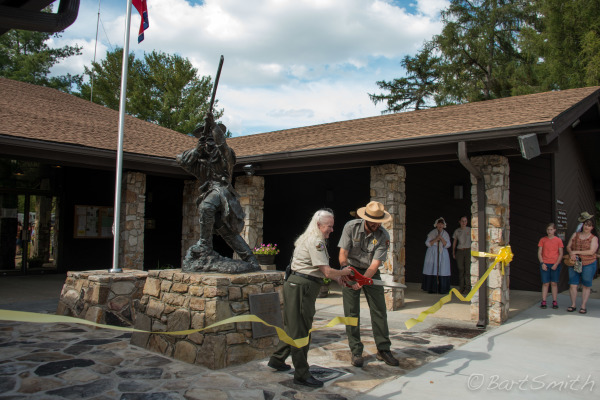 Ribbon cutting honoring a new plaque to the Overmountain Victory Trail, Sycamore Shoals State Park Visitor Center. Elizabethton, Tennessee. 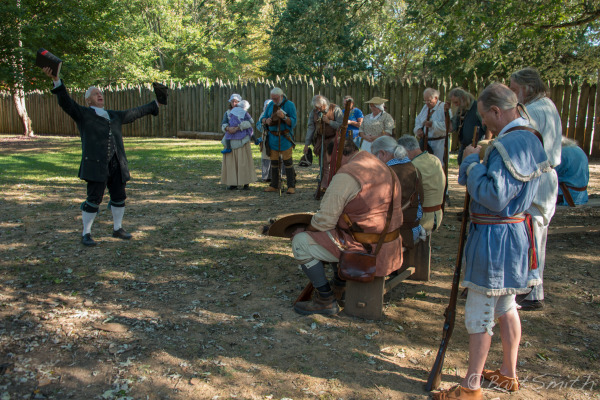 Reenactors recreating a famous sermon delivered to the Overmountain Men at Fort Watauga, Sycamore Shoals State Park, Elizabethton, Tennessee. 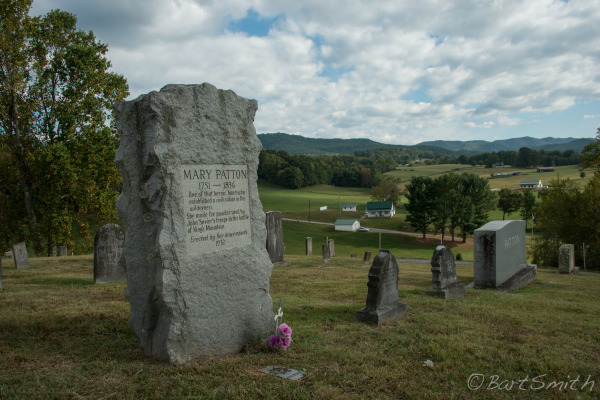 Gravesite of Mary Patton, she was the maker of the gunpowder for the Overmountain Men. Patton-Simmons Cemetery near Elizabethton, Tennessee. 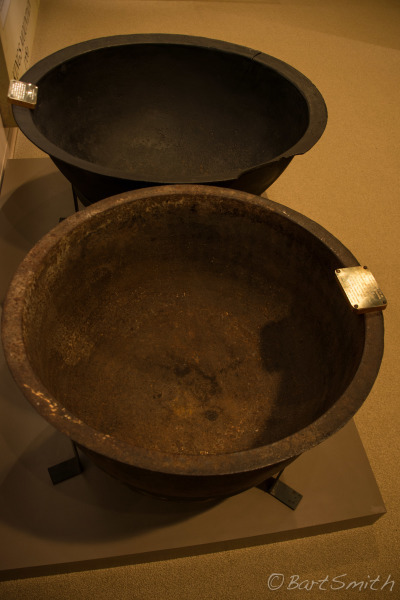 The actual kettles that Mary Patton used to make the gunpowder for the Overmountain Men. Vistitor Center/Museum. Sycamore Shoals State Park, Elizabethton, Tennessee. 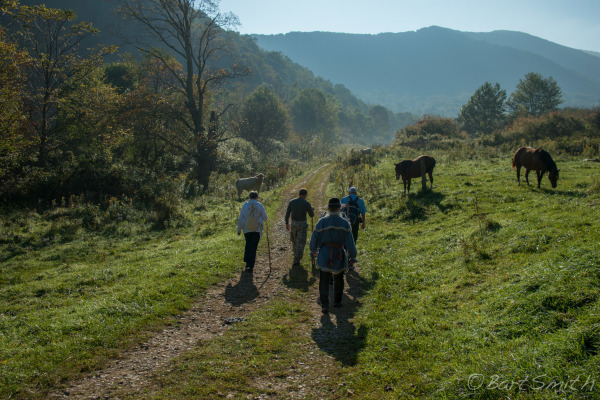 Hikers walking the original trace of the Overmountain Victory Trail heading east up towards Yellow Gap near Roan as part of annual march of the OMVT. Mt, Hampton Creek Cove State Natural Area.Tennessee. 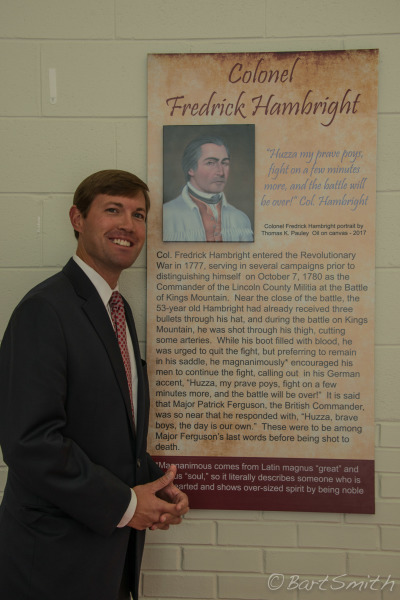 Direct ancestor to Colonel Fredrick Hambright poses next to his Great Grandfather's (not fully sure how many "Greats") portrait at Gaffney Art Center and Visitors Center. Gaffney, South Carolina. 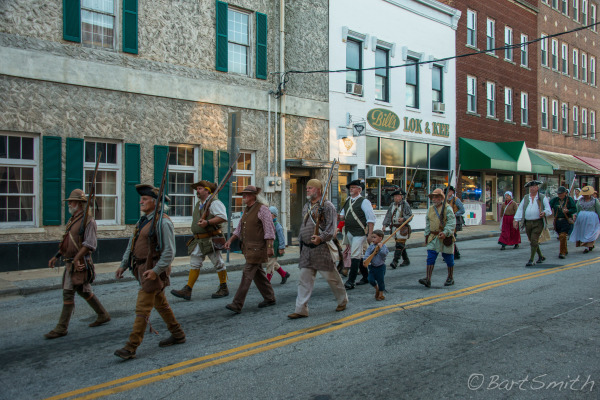 Annual Overmountain Victory Trail March through Gaffney South Carolina. 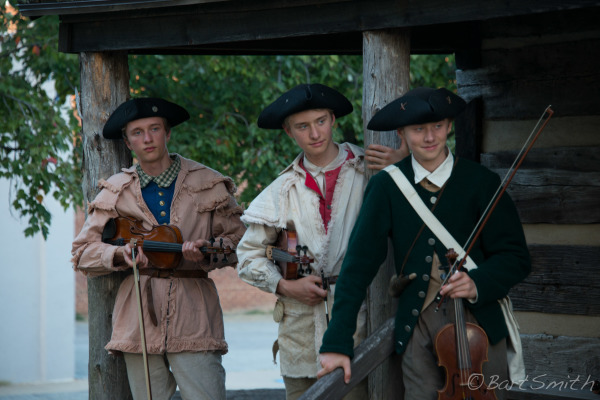 Musicians (and brothers) participating in the annual Overmountain Victory Trail March at Gaffney Cabin. Gaffney, South Carolina. 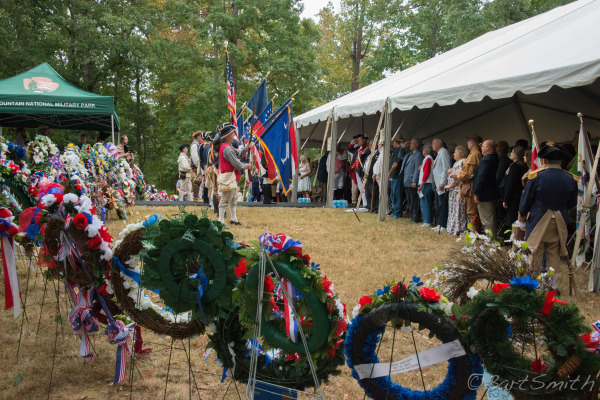 2017 Annual October 7th ceremony commemorating the Battle of Kings Mountain at Battle of Kings Mountain National Battlefield, South Carolina. 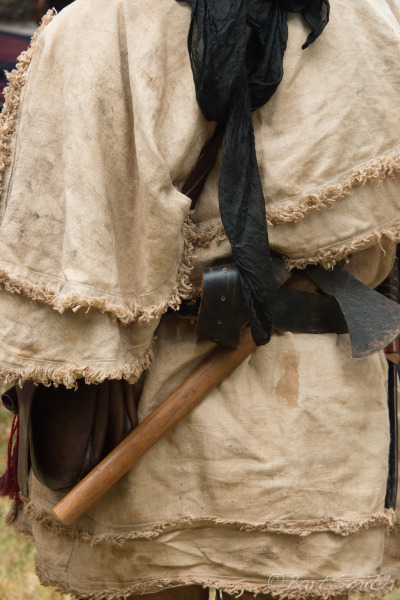 Reenactors period outfit at 2017 Annual October 7th ceremony commemorating the Battle of Kings Mountain at Battle of Kings Mountain National Battlefield, South Carolina. 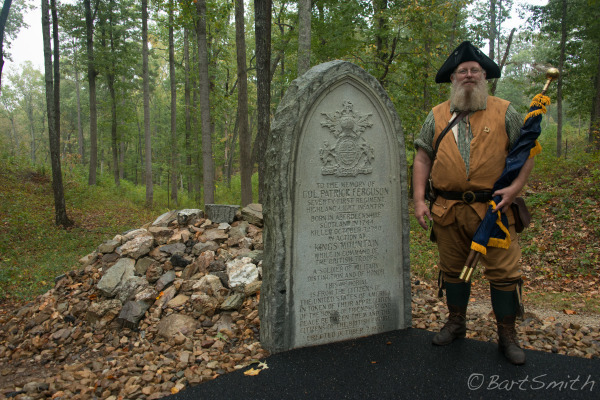 Gravesite of Colonel Patrick Ferguson who was killed at this location during the Battle of Kings Mountain, He was the British commander of the Loyalist troops who were defeated after the hour long Battle. 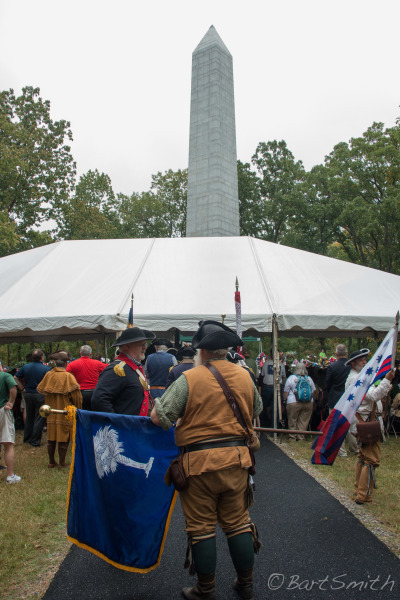 2017 Annual October 7th ceremony commemorating the Battle of Kings Mountain at Battle of Kings Mountain National Battlefield, South Carolina. 2017 Annual October 7th ceremony. 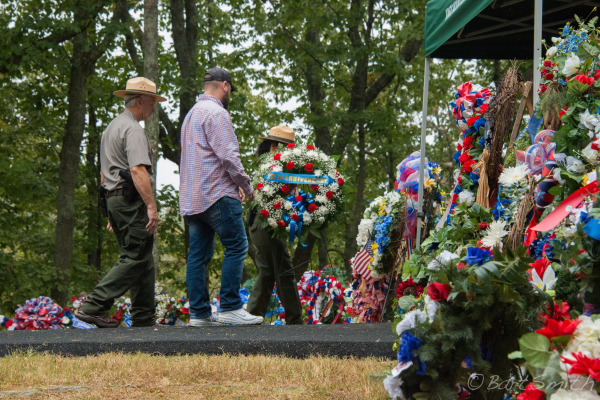 National Park Service with a veteran laying a wreath honoring the 237th anniversary of the Battle of Kings Mountain at Battle of Kings Mountain National Battlefield, South Carolina. Abington Muster Grounds. Abington Virginia. 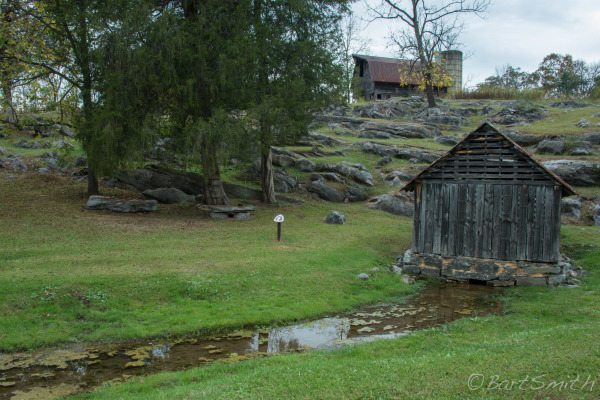 Location where the Overmountain men first gathered. 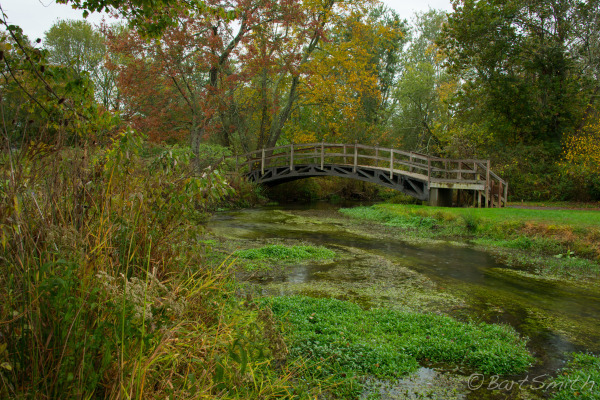 Wolf Creek at Abington Muster Grounds. Abington Virginia. 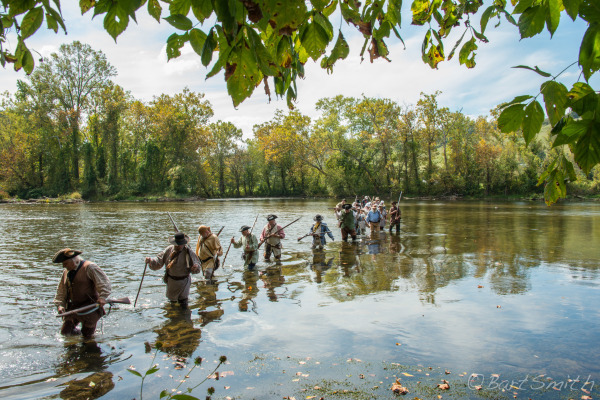 Overmountain Victory Trail crossing Wolf Creek at Abington Muster Grounds. Abington Virginia. 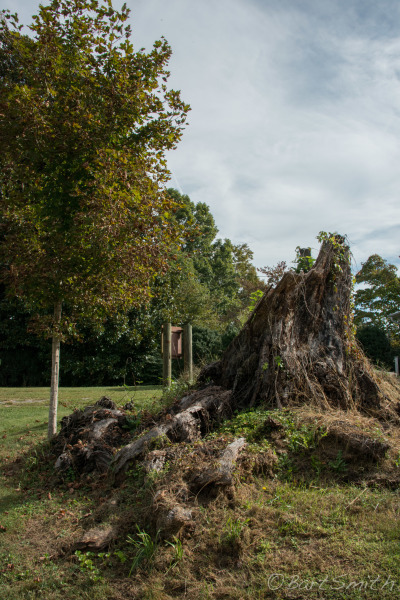 Stump of Pemberton Oak. Captain John Pemberton mustered Patriot militia underneath this once sprawling Oak which fell in 2002. 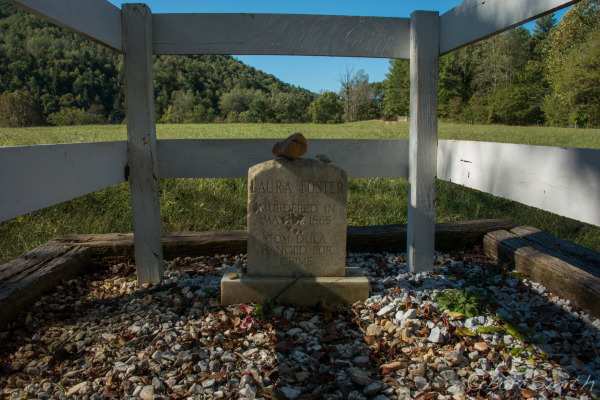 It was the only known living thing along the Overmountain Victory Trail that existed. Today there is a sign designating this historic site on Private property. 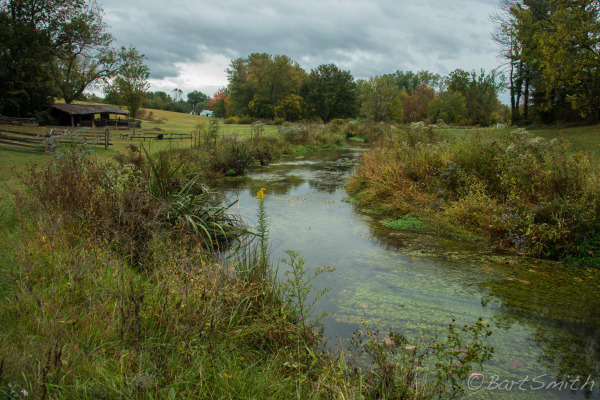 Spring which still flows that the Overmountain Men utilized to water their horses on their way to battle Major Fergusons loyalis troops. 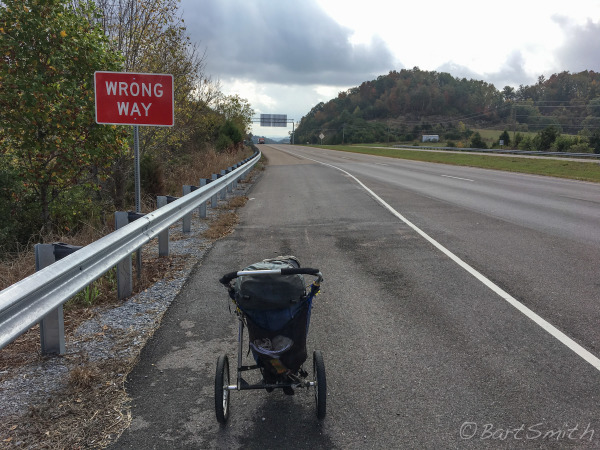 Northeast of Bluff City, Tennessee. 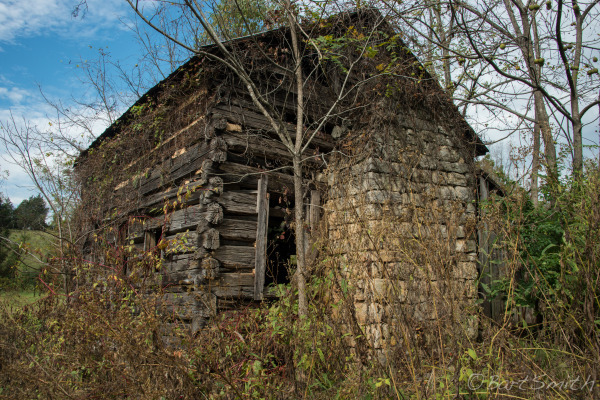 Abandoned homestead that likely dates back to 1870 when the Overmountain Men would have passed near these premesis near Holston River, Tennessee. Along my walk of the Overmountain victory Trail between Bluff City and Elizabethton, Tennessee. Along my walk of the Overmountain victory Trail at camp along the Watauga River near Elizabethton, Tennessee. 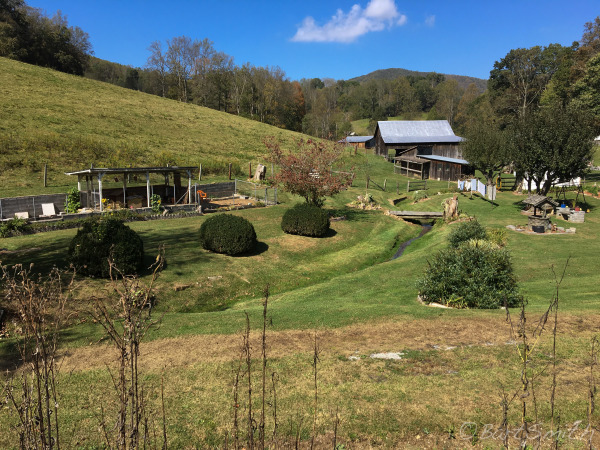 Along my walk of the Overmountain victory Trail between Elizabethton and Roan Mtn. Tennessee. 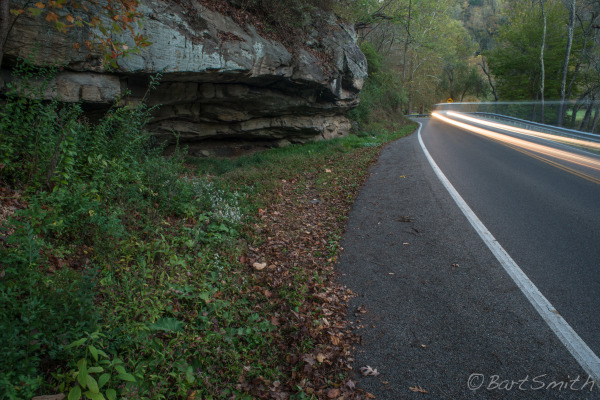 Traffic passing rock overhang where the Overmountain Men stored their gun powder on their fist night of camp at a location called the "resting place" just west of Roan Mtn community. The overhang called "Shelving Rock" kept the gun powder dry on a very rainy night. one mile west of Roan Mtn community Park Tennessee. 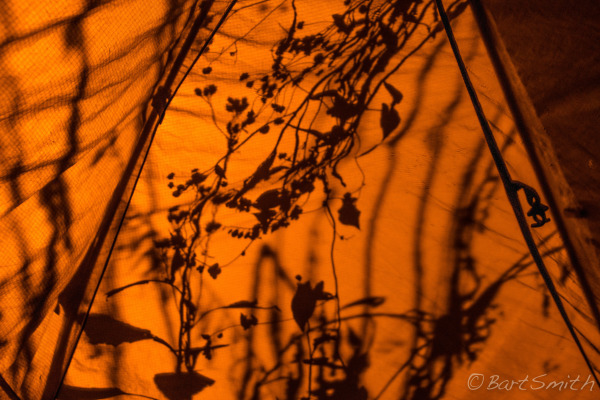 Shadows on tent at camp in the hamlet of Plum Tree, NC, along the North Toe River. 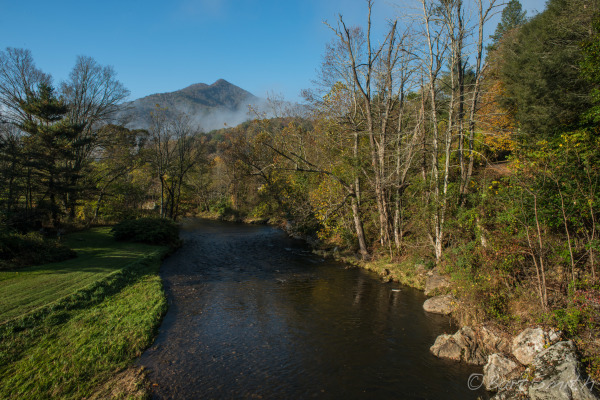 Overmountain Victory Trail followed the North Toe River much of the way towards Spruce Pine, NC. Today the road is 19E. North Toe River, North Carolina. 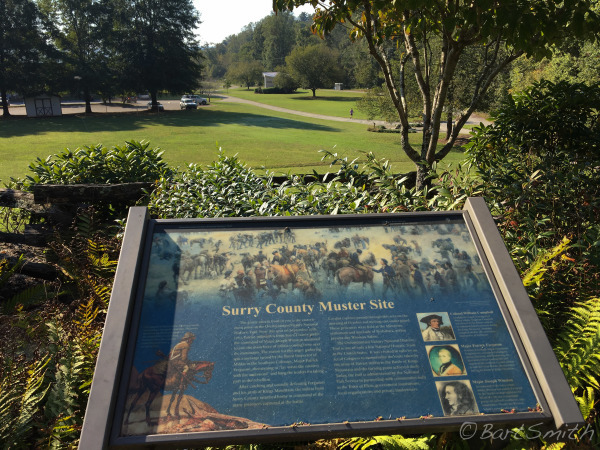 Informational exhibit of the Overmountain Victory Trail at the Museum of Minerals near Gellispie Gap North Carolina..
Hisstoric information sign at Surry County Muster Grounds, Elkin City Park, Elkin, North Carolina. Old Wilkes Jail. 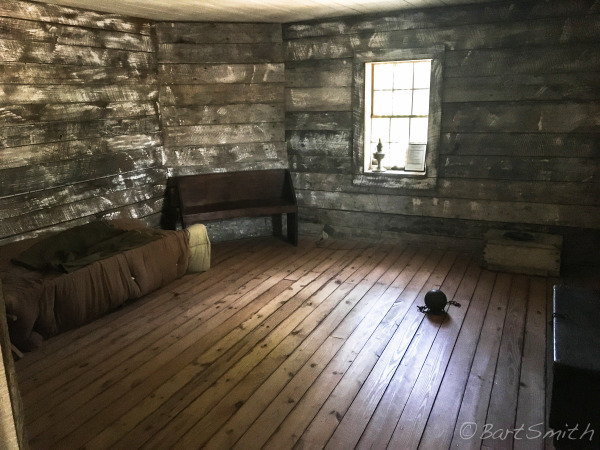 This jail cell housed Tom Dula better known as Tom Dooly. 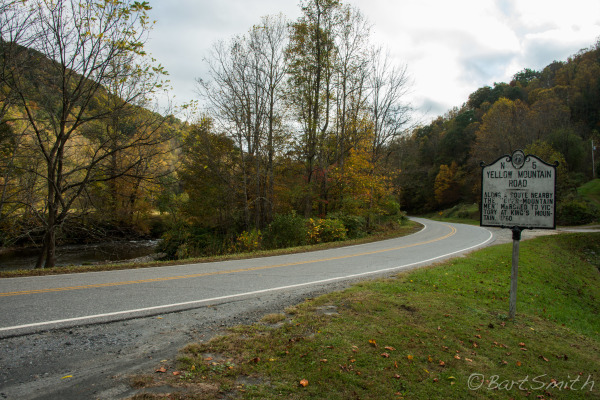 Near Wilkes Heritage Museum, Wilkesboro, North Carolina. 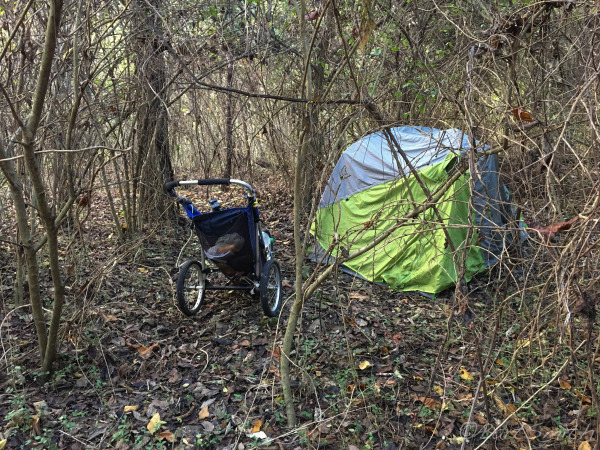 My "rig" along my walk of the Overmountain Victory Trail through Yadkin River valley, HW 268 along Yadkin River Greenway, North Carolina. 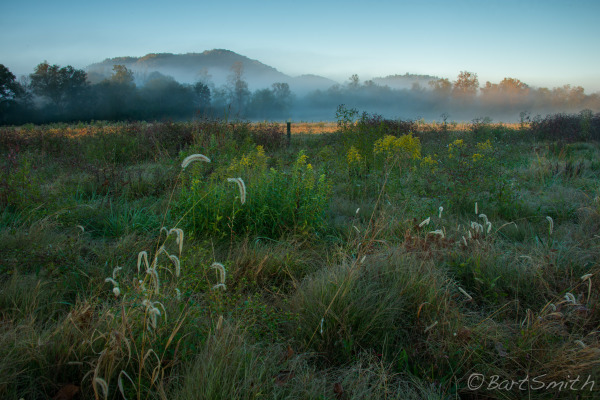 Dawn along Yadkin River valley. 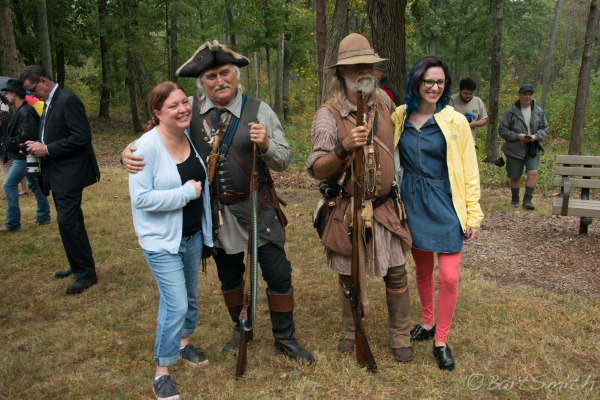 Traveling horseback, the Patriot militia camped near this location on September 28th 1780. 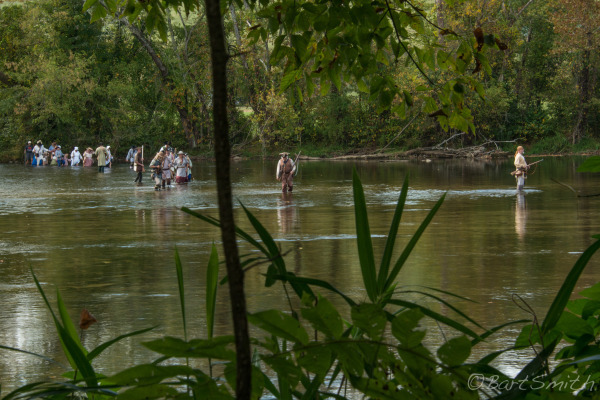 Yadkin River Greenway, North Carolina. 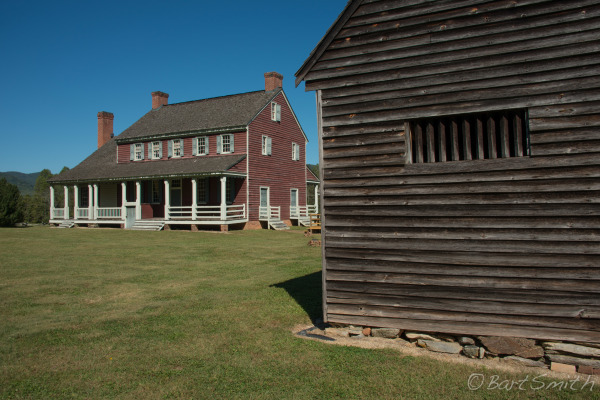 Fort Defiance, not a "Fort" but rather the home of General William Lenoir who fought at the Battle of Kings Mountain. North Carolina. 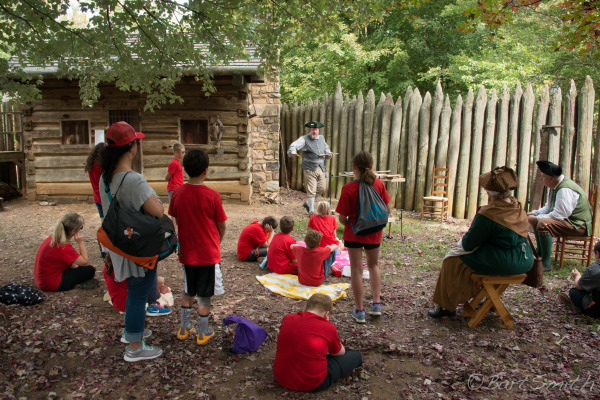 The Overmountain Men and the Yadkin River Valley militia gathered at Quaker Meadows, the homes of Charlse and Joseph McDowell. Nothing remains of the 1780 home. Morganton NC. 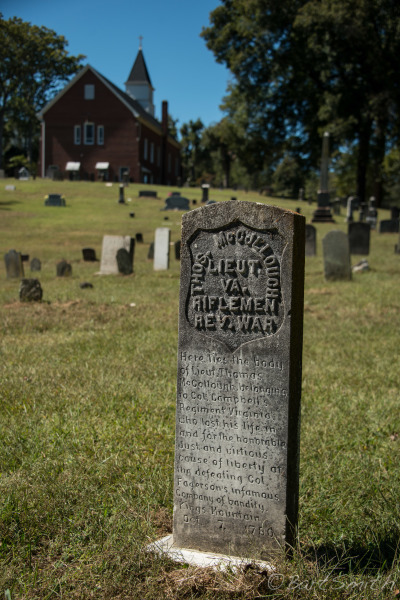 Cemetery behind New Brittain Church has gravesites of a number of Patriots who fought at the Battle of Kings Mountain. New Brittain Church, a few miles north of Rutherfordton, NC. 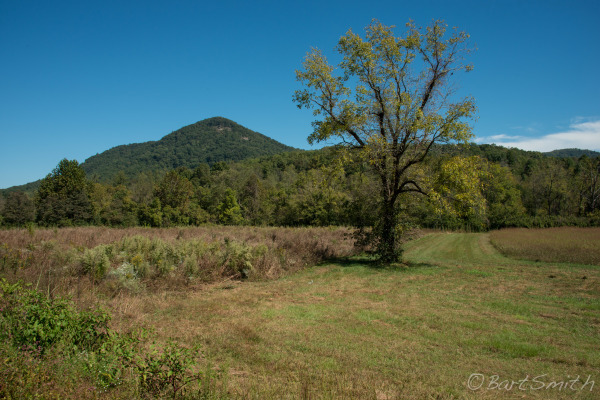 Marlin's Knob, from the site of the Oct 3rd 1780 Overmountain encampment, NC. 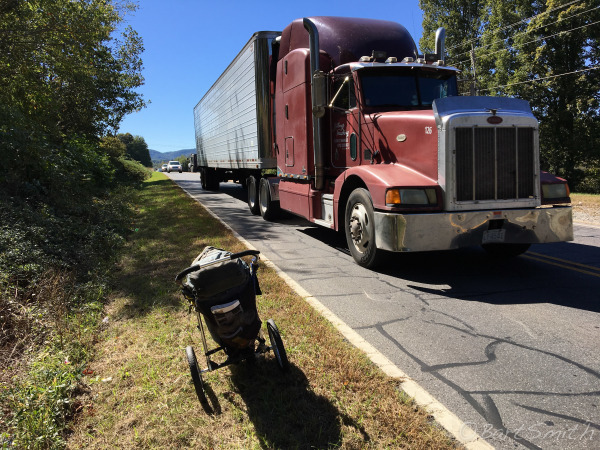 Walking the Overmountain Victory trail requires respecting the traffic. 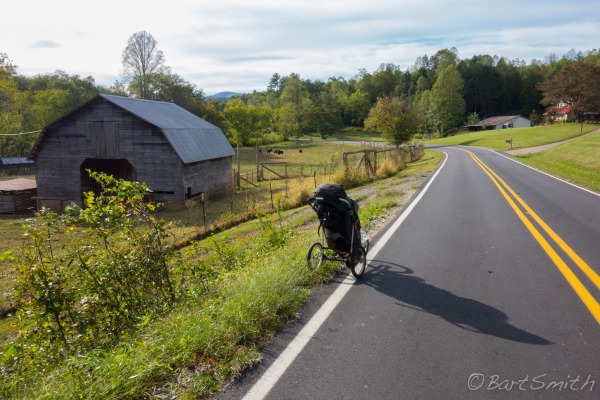 On HW 64 between Morganton and Rutherfordton, NC. 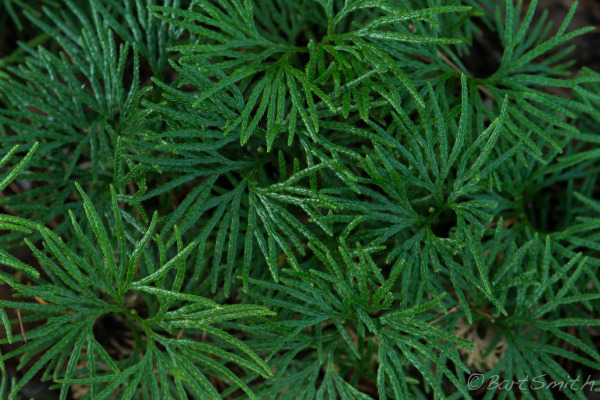 Lycopodium obscurum, also called Princess Pine, Tree Club Moss and Ground Pine. From camp near Bedfords Hill Encampment between Morganton and Rutherfordton, NC. 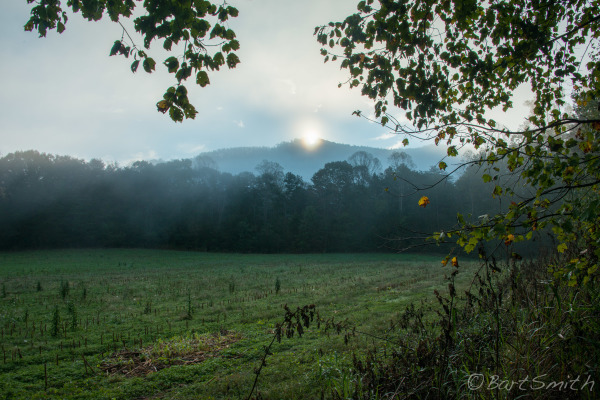 Sun rise throguh fog from field near Bedfords Hill Encampment between Morganton and Rutherfordton, NC. 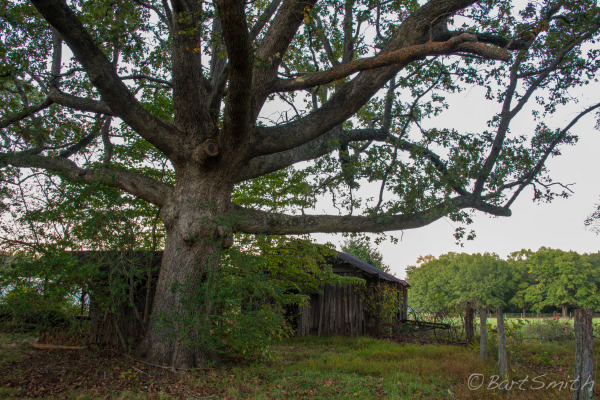 Rural scene near Chesnee , SC. Painting at Cowpens National Battle Field entrance. Near Gaffney SC. 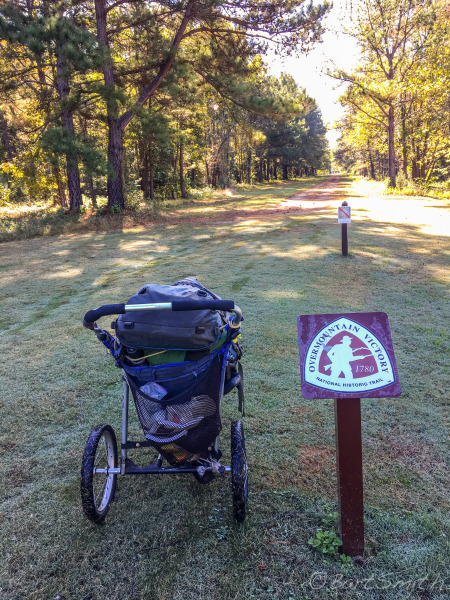 Overmountain Victory Trail at Cowpens National Battlefield. Near Gaffney, SC. 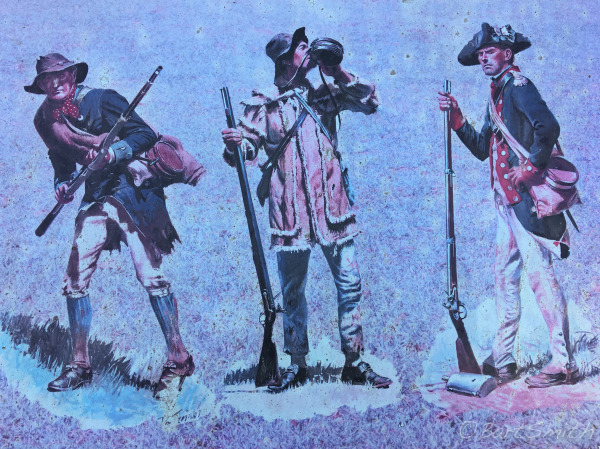 The Battle of Cowpens which occured a few months after the Battle of Kings Mountain was another victory for Washingtons Continental Army and Patriot militia. 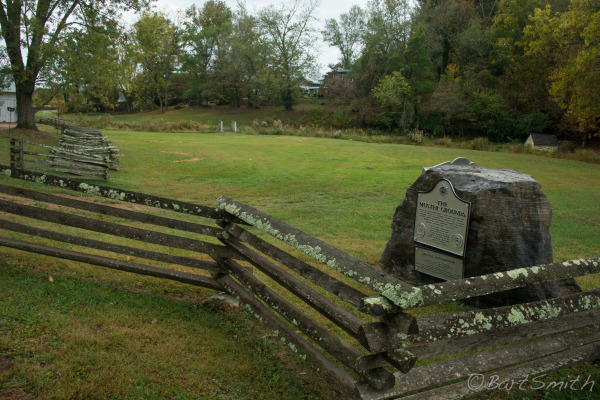 Original trace of the road the Overmountain Men used to access Kings Mountain and surround Major Ferguson's Loyalists. Kings Mountain Military Park, South Carolina. 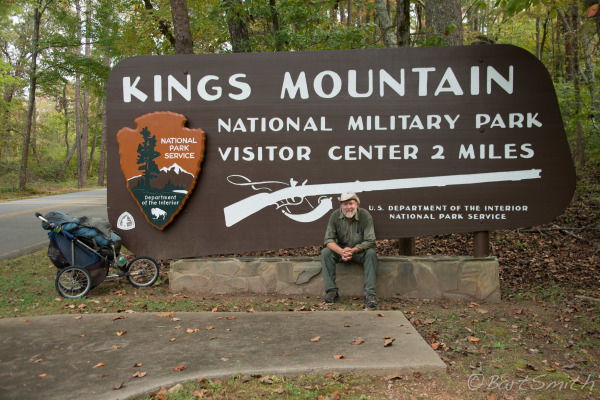 Myself at the entrance to Kings Mountain National Military Park. Nearing the completion of my walk of the Overmountain Victory National Historic Trail. South Carolina. October 21, 2017. 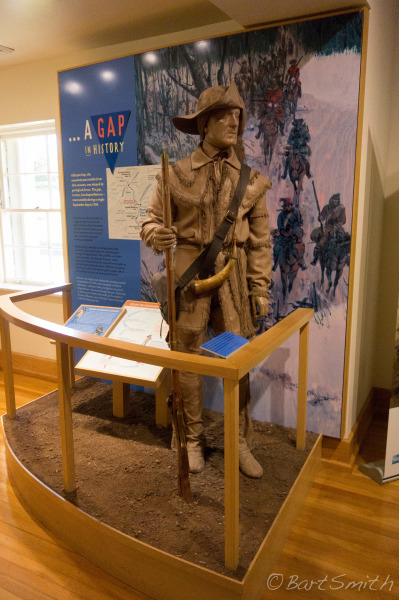 Tracing 330 miles of American Revolutionary War history, the Overmountain Victory National Historic Trail crosses part of Virginia, Tennessee, North Carolina and South Carolina. 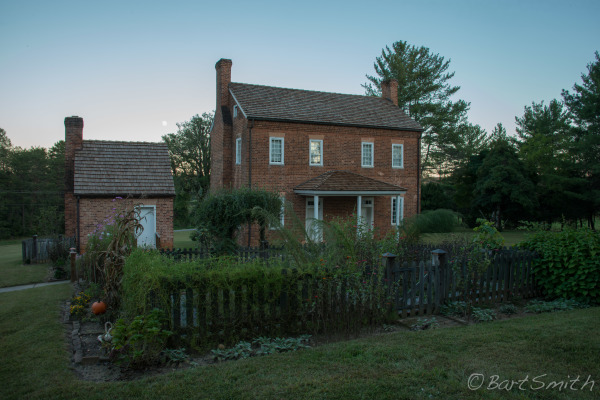 When first established as an NT it was not well known - yet its story is key to American history. 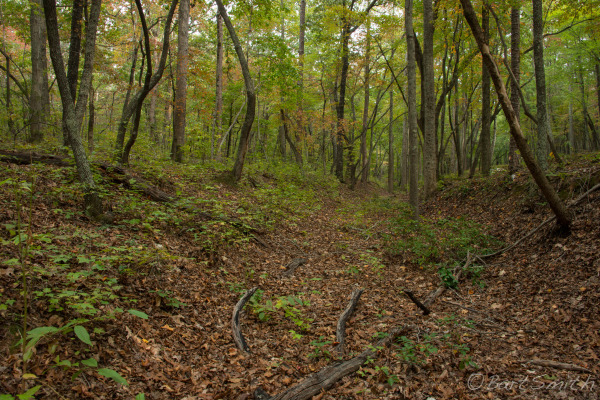 Noted by Thomas Jefferson as a major turning point of the Revolution, this Trail commemorates the journey of the Overmountain Men, a group of 2,000 backwoods patriots, who sought to defeat British loyalists during the Southern Campaign of 1780. 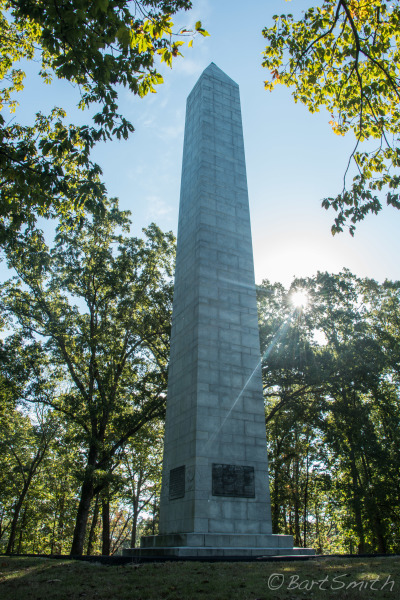 That September, men gathered at various points along the route, such as Abingdon, Virginia and Sycamore Shoals, Tennessee, and rode hundreds of miles in 14 days, finally catching up with the British at Kings Mountain, South Carolina. There they defeated Major Patrick Ferguson and his loyalist followers, killing or capturing every one. 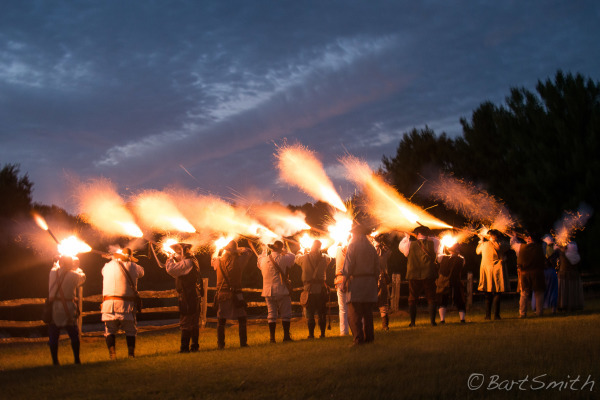 This skirmish helped turn the tide against the British during the Revolutionary War. The Trail was added to the National Trails System during its bicentennial year of 1980. 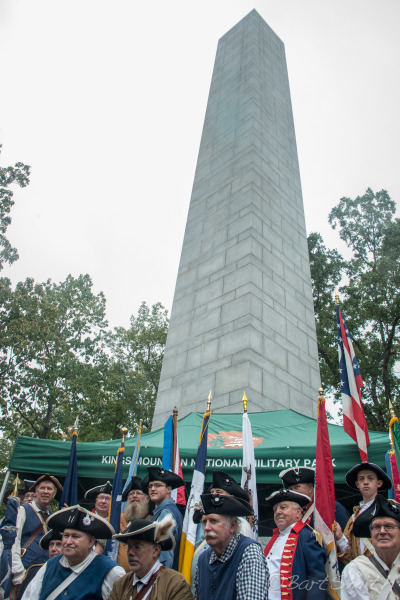 Today it is administered by the National Parks Service with help of many partners including the Overmountain Victory Trail Association.